The first N-3B jackets were produced in the mid 1950s for USAF air crews who were assigned to transport troops in extremely cold climates. 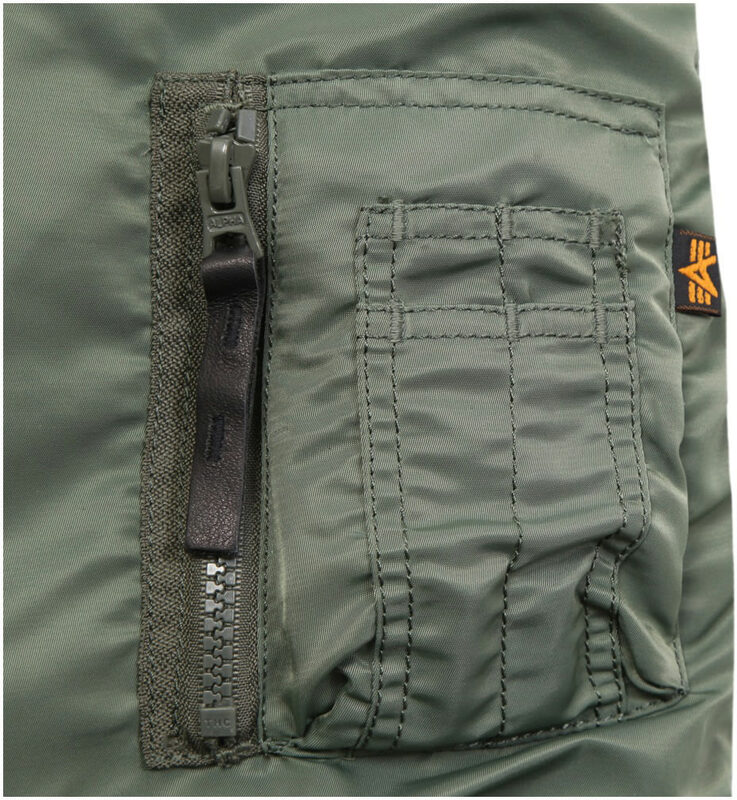 The modern N-3Bs have slant pockets at the chest and flap pockets lower on the coat, and a panel that fastens with loops across the zipper to keep out wind. Today they use synthetic fur around the hood. The N-3B was the first jacket Alpha Industries made for the U.S. government in 1959 and we went on to produce it for the consumer market in the 1980s. 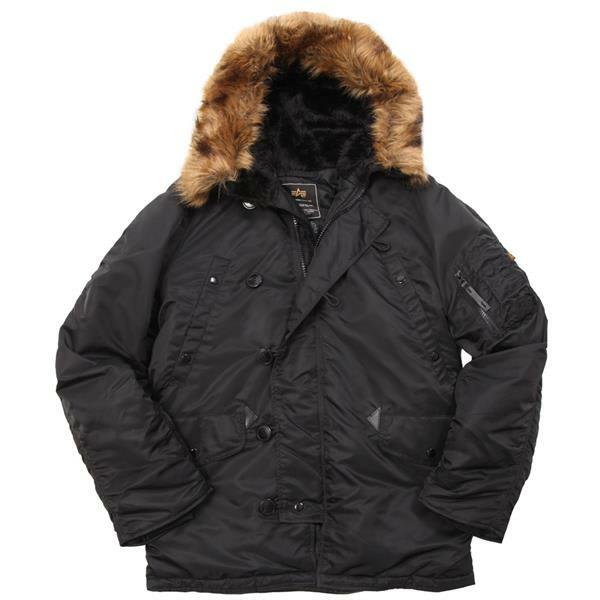 Looking for a durable cold weather parka that's fashionable and our warmest yet? The USAF N-3B parka fits the bill. This Snorkel parka features reinforced elbow patches, a full-length storm flap and inset knit cuffs for durability and protection against the elements. 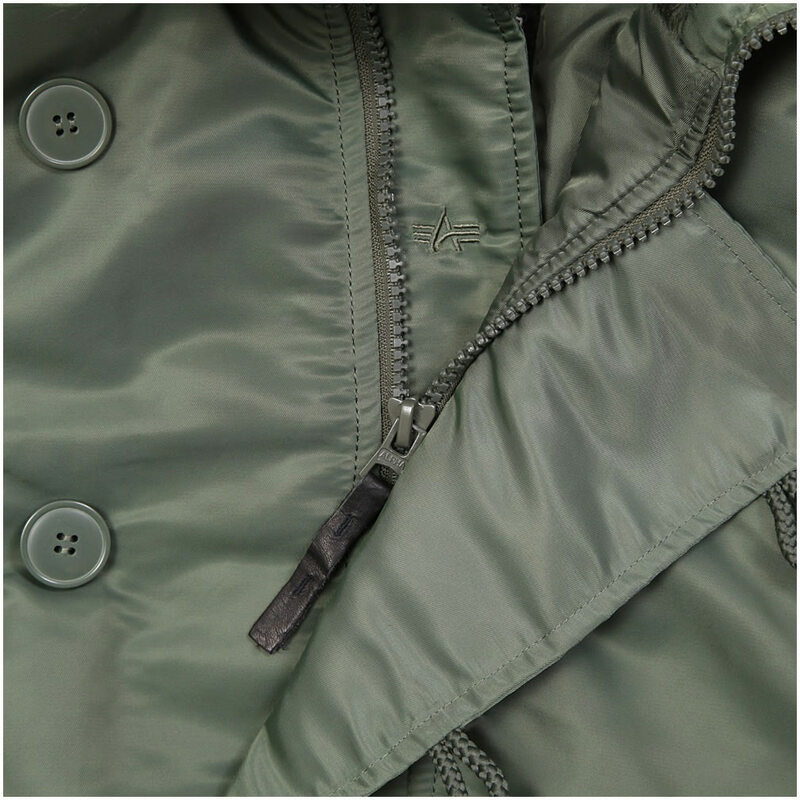 The N-3B parka's nylon outer shell/polyester interlining ensures that no cold air seeps in. 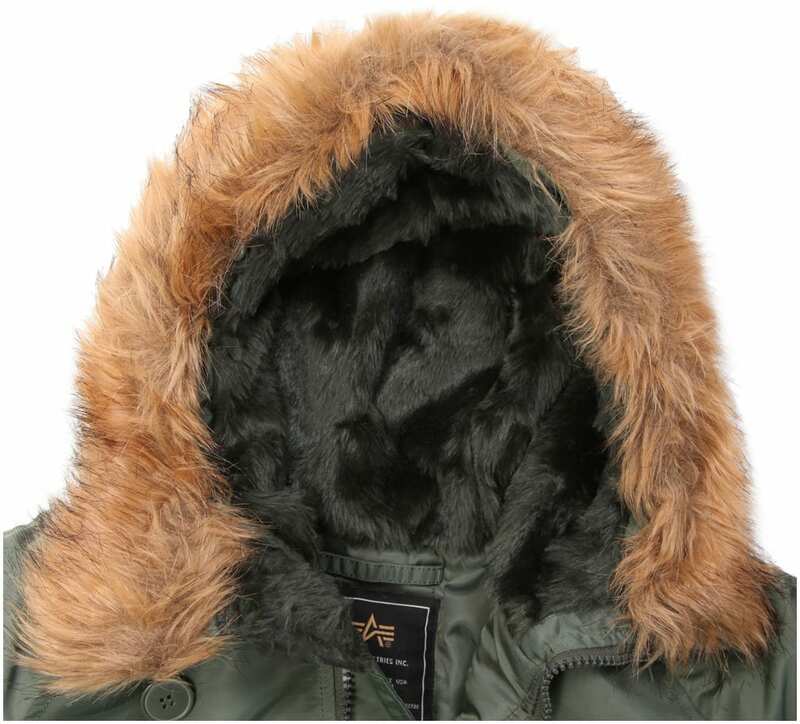 Our hood is lined and trimmed with synthetic fur, complete with adjustable draw cord/take-up strap. If you like a tight fit we recommend sizing down from your normal size. Warm and comfortable with ample pocket room. 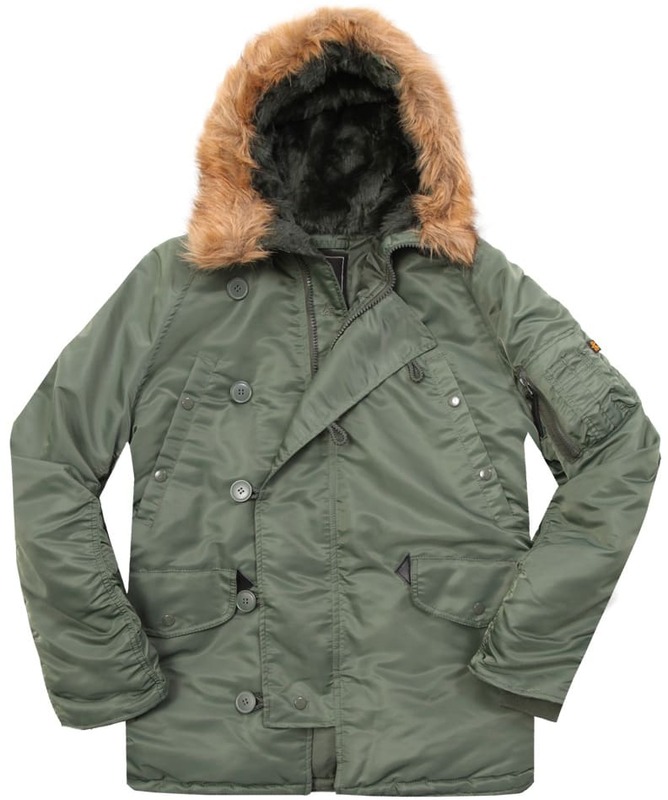 If you're dealing with cold weather this is the parka that will protect you from the elements. Small fit my 16 daughter perfectly!! BEST ANSWER: If you haven't already, take a second to look at the Sizing & Fit link that is located above the red Add to Cart button. The sizing chart will help you select the Alpha Industries N-3B Parka size you need with your specific measurements. There is a 'select a size' box to the right of the image (on a desktop). Currently we have S-3X available. The model jacket I bought is regular fit. Sizes: Small, Medium, Large. There is a slim fit version of this jacket. Is the interior orange or black? If it’s black why is it that color?? BEST ANSWER: The Black colorway has a black interior. The Sage Green colorway has a Sage Green interior. Why? That's the way that Alpha Industries manufactured them. Check out the Alpha website for other examples. 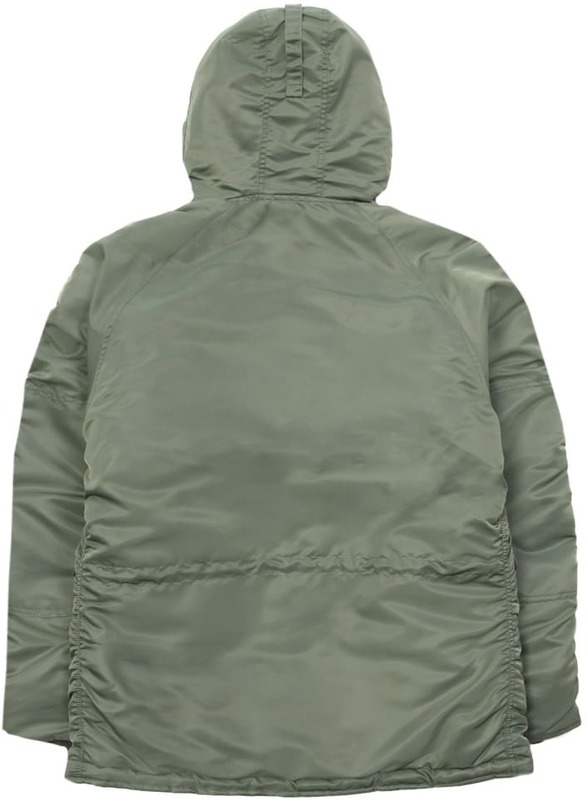 Where is this parka made? Alpha Industries is from Knoxville Tennessee, and this exact jacket is manufactured in China. Is this the slim fit version or the regular one?